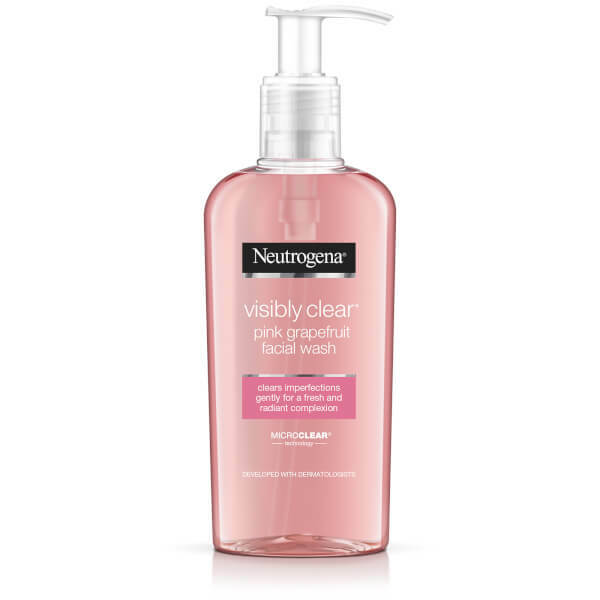 Purify the complexion with the Neutrogena Visibly Clear Pink Grapefruit Facial Wash; an uplifting daily cleanser that reveals a refreshed and healthy-looking complexion. 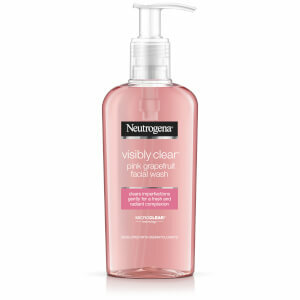 Utilising Neutrogena’s MICROCLEAR® technology, the gentle yet effective formula performs an essential deep cleanse that helps eliminate the appearance of blackheads, spots and other imperfections. Without stripping essential moisture from skin, the rich gel wash effortlessly massages into the visage and envelops skin an in uplifting pink grapefruit fragrance. Expect a clean and clear complexion that is refreshed and invigorated. In the morning and evening, massage onto a wet face. Rinse thoroughly. Avoid contact with eyes. If eye contact occurs, rinse well with water. For external use only. [PR-015653], Aqua, Sodium Laureth Sulfate, Propylene Glycol, Lauryl Glucoside, Sodium Lauroamphoacetate, Cocamidopropyl Betaine, PEG-120 Methyl Glucose Dioleate, Salicylic Acid, Benzalkonium Chloride, C12-15 Alkyl Lactate, Cocamidopropyl PG-Dimonium Chloride Phosphate, Citrus Grandis Fruit Extract, Sodium Benzotriazolyl Butylphenol Sulfonate, Polysorbate 20, Sodium Chloride, Disodium EDTA, Citric Acid, Sodium Citrate, Parfum, CI 16035, CI 60725.